The most undermined health cases deal with the illness of the psychological state of mind.More attention has been duely given to the physical injuries and cases of battery and internal injuries.But one of those internal injuries that are over looked is the mental illness. 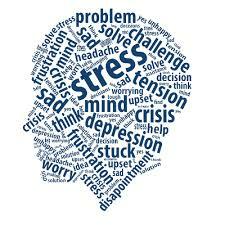 Mental health is a form of psychological well being or an absence of mental illness.The global burden of mental health disorders is projected to reach 15% by the year 2020.Even though policies have been initiated with components including: advocacy, prevention,treatment and rehabilitation; it has done little to curb the growing rate of mental illness. In 3rd world countries like Nigeria, mental illnesses are attributed to spiritual and supernatural problems,thereby making victims seek solace in traditional and spiritual healers.In Nigeria,20-30% of our population suffer from varying mental illnesses as related symptoms such as:anxiety,depression, and substance -abuse related disorders pop up on a daily. There are no proper policies and implementations to check the rising growth of mental cases as there are no infrastructures or basic amenities to that effect. There is a common stigmatization on people with mental disorders as the required societal and family support systems are not well enlightened and orientated about the basics of such illness. The general belief and attitude of regarding mental illness as a spiritual issue needs to be stopped and attended to.While proper measures need to be taken in order for the mental health not to diminish into mental and psychological illness,thereby leading to suicide,drug addiction,depression and other varying disorders.